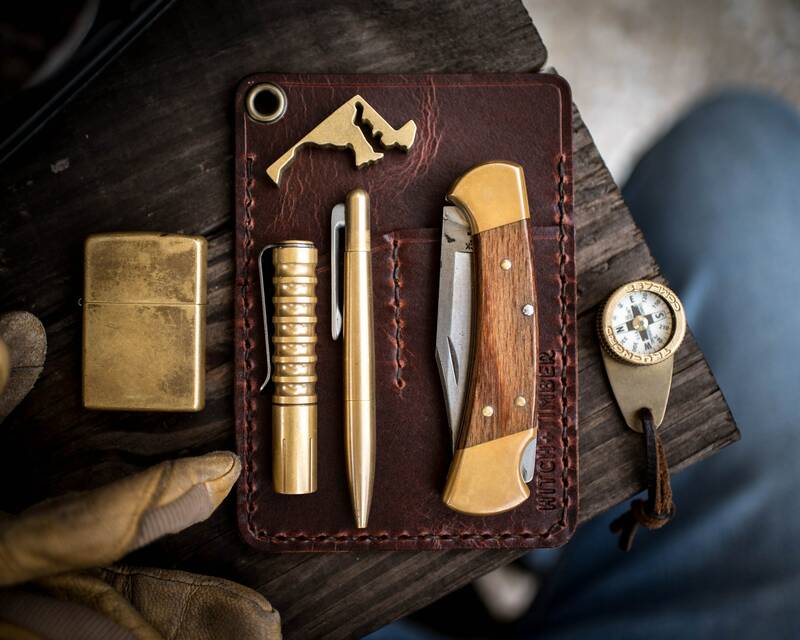 The Engineer Caddy is handmade in the USA with US sourced materials. 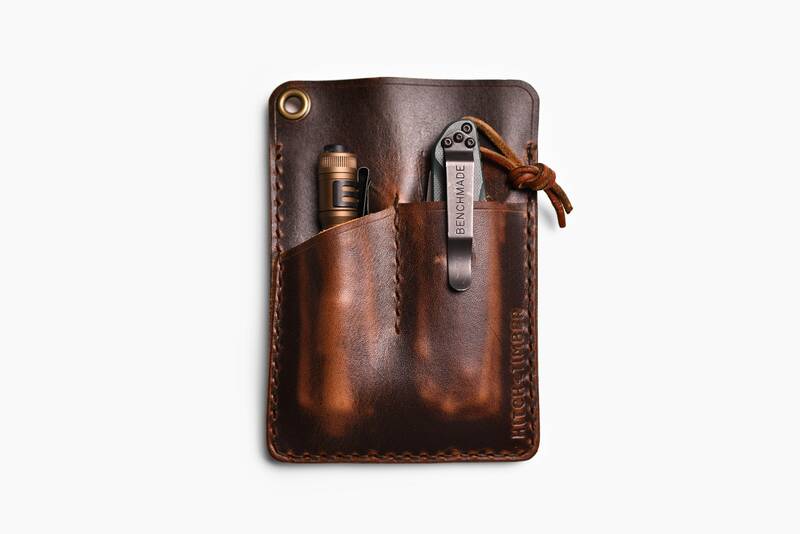 The front utility pockets are designed to hold larger items than our previous models. 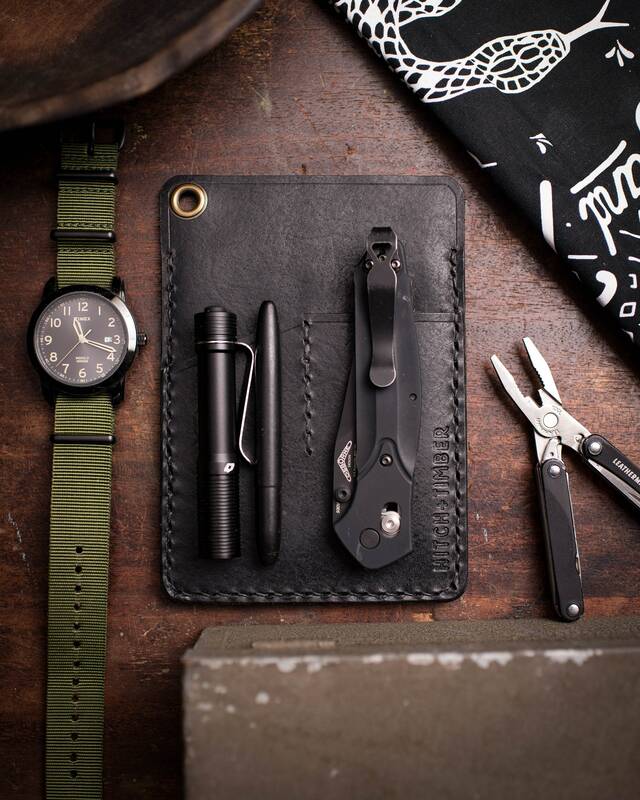 Mix and match with flashlight, pens, knives, or many items to help minimize the pocket clutter. 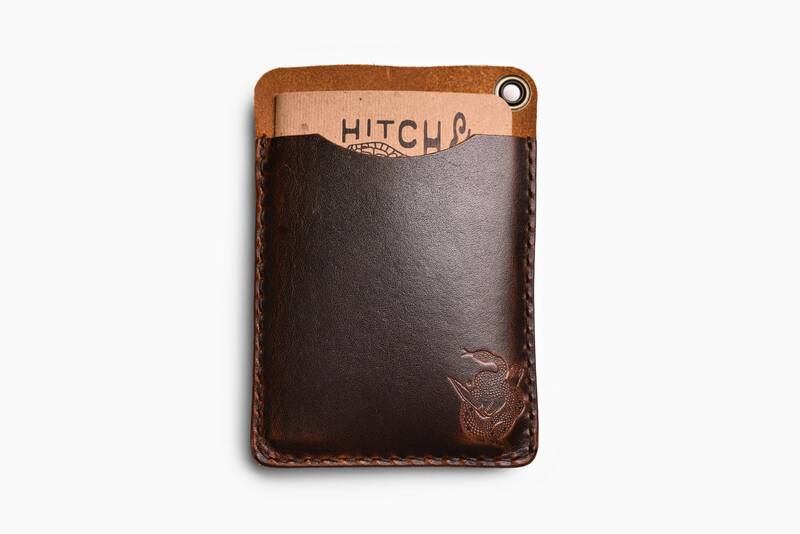 Designed to ride in the back pocket or for travel in a bag or pack. Left pocket 3 1/4" x 1 3/4"
4 3/4" x 3 15/16"
Please message about items fitting, i will be happy to answer! Purchased for surprise gift for spouse. He loves it. 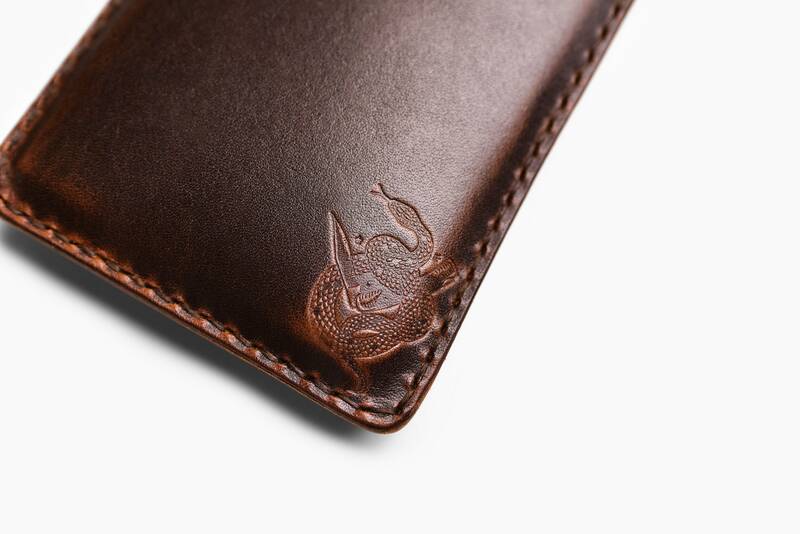 The leather is so soft it feels like butter in your hands. Love it! 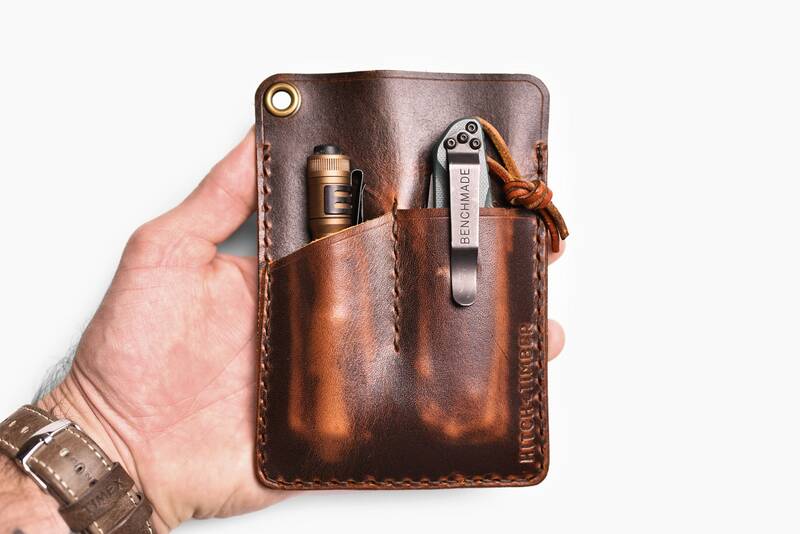 Perfect pocket organizer. 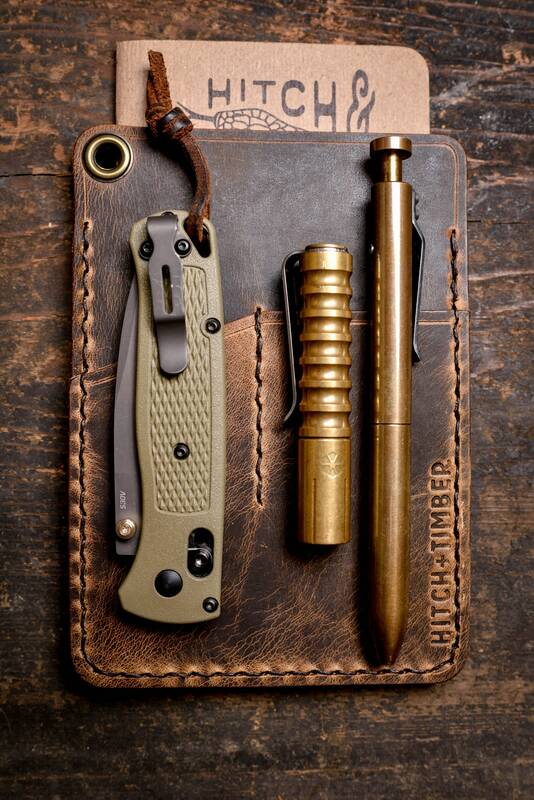 Holds the notebook, favorite folding knife, small copper flashlight, pen and fire steel. 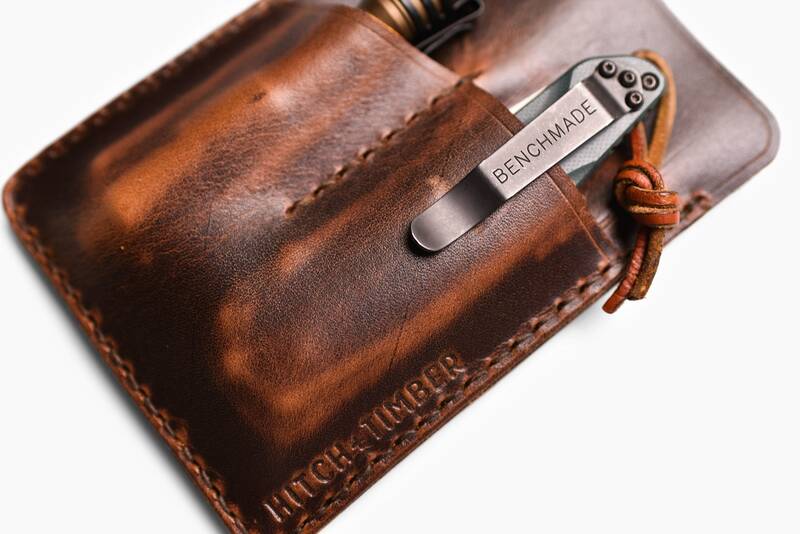 This, with a handkerchief, are now constants in my front left pocket.